Taking a deeper look at vitamin D, we know that it is a fat-soluble vitamin known as the “sunshine vitamin.” Our bodies can produce vitamin D when our skin is exposed to ultraviolet sunlight. Vitamin D can also be obtained from our foods and is primarily found in oily fish such as salmon, mackerel, tuna and sardines and other animal sources such as liver, beef, veal, and eggs. Other food options for vitamin D sources include foods that have been fortified with vitamin D such as cereals, yogurt, milk, and orange juice. Dietary intake of vitamin D may not be enough to maintain a healthy level of vitamin D in the body and therefore regular supplementation may be needed to support adequate levels. In addition, it is important to have your serum vitamin D levels monitored as vitamin D can accumulate in the liver and fat cells. 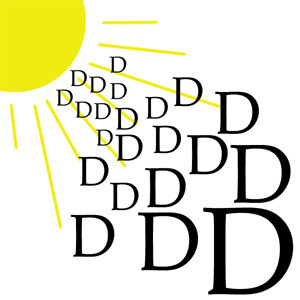 Groups of people that are more at risk for vitamin D deficiency include breastfed infants, older adults, people with limited sun exposure (such as Minnesotans in the winter), people with dark skin, obese people, gastric bypass patients, and people with medical conditions that cause fat malabsorption, such as those with liver disease, Crohn’s disease, and cystic fibrosis. There are a variety of effective natural therapies for the treatment of depression and vitamin D may play an essential role. It’s important to have your vitamin D levels checked to ensure healthy levels for disease prevention and to optimize the health of your mind, body, and overall mood! Interested in finding out what your Vitamin D level is? Call our office at (952) 417-1912.